As teachers of architectural design, Kent Bloomer and Charles Moore have attempted to introduce architecture from the standpoint of how buildings are experienced, how the affect individuals and communities emotionally and provide us with a sense of joy, identity, and place. 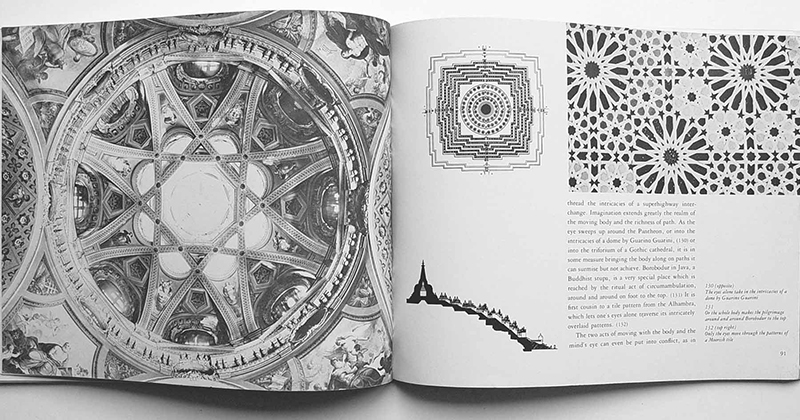 In giving priority to these issues and in questioning the professional reliance on abstract two-dimensional drawings, they often find themselves in conflict with a general and undebated assumption that architecture is a highly specialized system with a set of prescribed technical goals, rather than a sensual social art historically derived from experiences and memories of the human body. 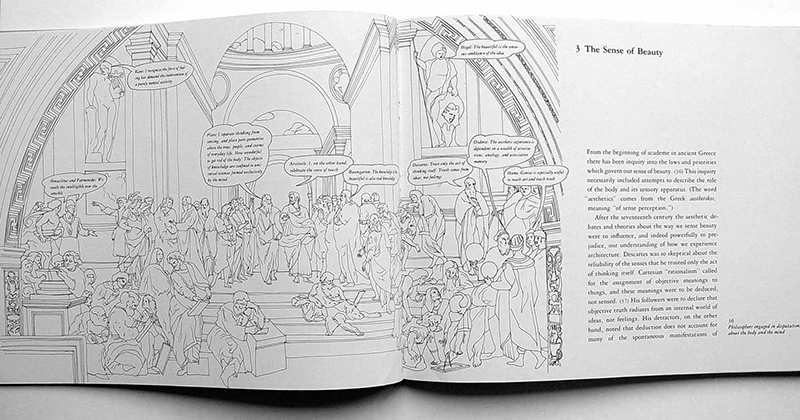 This book, an outgrowth of their joint teaching efforts, places the human body at the center of our understanding of architectural form. 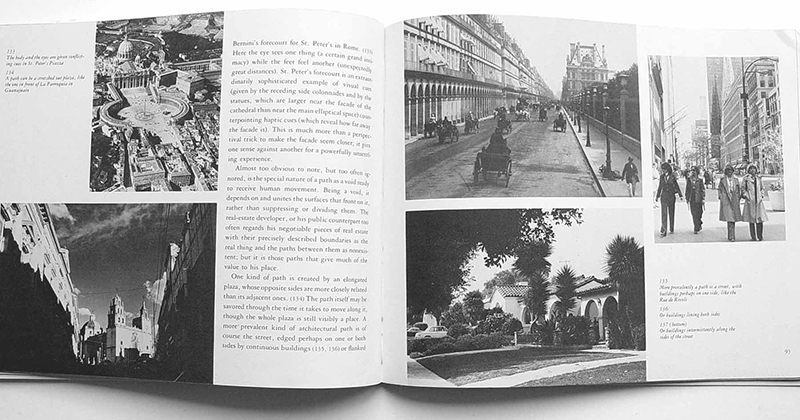 Body, Memory, and Architecture traces the significance of the body from its place as the divine organizing principle in the earliest built forms to its near elimination from architectural thought in this century. The authors draw on contemporary models of spatial perception as well as on body-image theory in arguing for a return of the body to its proper place in the architectural equation. 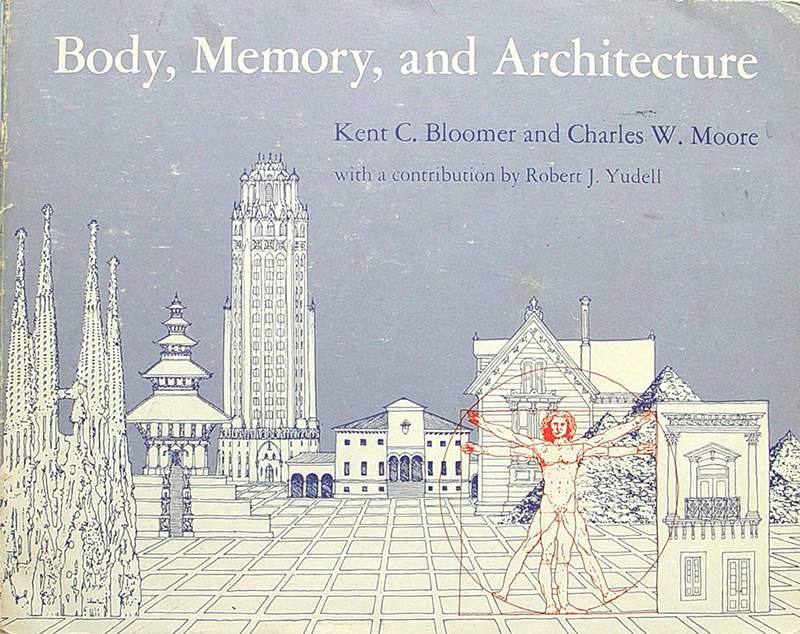 Briefly mentioned in Avigail Sachs's history of environmental design in architecture schools in the United States last century, Body, Memory, and Architecture summarizes how Kent Bloomer and Charles Moore taught fundamentals of architecture to students at Yale School of Architecture. Although I didn't have it as a textbook in the Midwestern architecture school I went to (in one class we did read Chambers for a Memory Palace by Moore and Donlyn Lyndon), some of the ideas entered into my education: namely, to consider the experience of the body in space over the geometric, formal attributes of a building. Published in 1977, and with the guiding hand of Moore, the book arrived on the hinge between Modernism and Postmodernism, obviously coming down for the latter rather than the former. 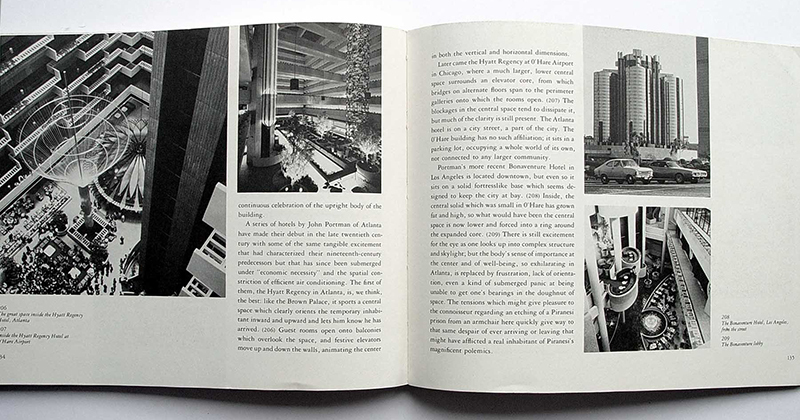 After chapters that take a historical look at the book's two broad approaches to architectural design -- sensual, bodily experience vs. cerebral, formal geometry -- and argue for considering the movements and feelings of bodies in space, the authors discuss Kresge College, which Moore designed with William Turnbull and is now in the process of renewal. The laid back plan in the midst of a redwood forest was a strong counterpart to strict Modernism. But with projects like the Portland Building (1982) by Michael Graves and Moore's own Piazza d'Italia (1978) pushing Postmodernism into formal irony and two-dimensionality, the spatial interest of Kresge College, which embodied the lessons of Body, Memory, and Architecture, unfortunately got lost in the ensuing years.